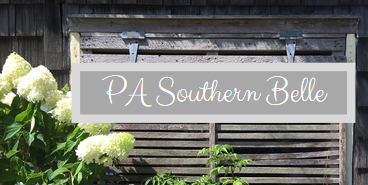 PA Southern Belle: I'm a Blogger? 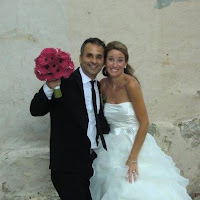 Hello there, blogging world! This is my first public attempt at blogging and I'm still wondering if anyone will really care enough to read this, but I've decided to jump in feet first (pencil style, of course) and have fun with it. I'm Meg, a wine and pizza lover, living life to the fullest in Pennsylvania with my amazing hubby and two adorable 3 year old twin fur-babies, Lil Buddy and Doodle. I was born in Charlotte, NC and moved to Lancaster, PA when I was around one. In my mind, this makes me a true southern belle. After graduating from West Chester University in the 90's, I decided to stay in the area and find a low paying teaching job. While I love fashion, I wouldn't say I'm the most fashionable. Since I turned 40, I've been reevaluating my clothing and hair style. I'll document the journey on here, unless I forget the password and don't blog anymore after today. I love bike riding at the beach, the smell of fall candles, trying new recipes that usually don't turn out as planned, pretending to be crafty, Utz chips with light dill dip and spending time with my family and friends. My family members are my best friends and my best friends are family. Wow...my first post. I'm proud of myself. Have a wonderful day and thanks for stopping by. I appreciate it.